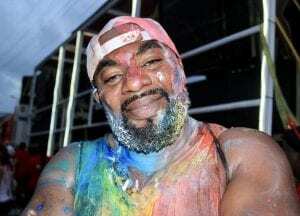 By Vanessa James The vibrancy of carnival never gets old for Caribbean folks, so here CNW revisits one reveler’s ‘Trini’ carnival experience, while some prepare for carnival in Jamaica next month. If somehow you missed out on the action of carnival in Trinidad this year, I’m here to fill you in on the bacchanal that continues to make Trinidad carnival the greatest street party on Earth. Trinidad & Tobago is known as the epicenter of the Caribbean carnival experience for good reason. Rivaled only by Brazil in size and stamina, “Sweet T&T”, as it’s coined, stands out from the crowd in many ways. Growing in popularity as of late, largely due to the influence and attention brought by social media, the twin island is no longer a hidden gem for the diaspora alone. It has quickly grown into one of the most anticipated travel experiences of the Lenten season, attracting celebrities like Will Smith, Trevor Noah, Boris and Nicole Kodjoe, and artists like Ashanti and Lil Kim, to name a few. From the moment we touched down at Piarco International Airport, we were greeted with the sweet sounds of popular Soca artist Kes The Band’s “Savannah Grass”, the latest hit from the island native. The song, which has quickly become an anthem, captures the essence of the carnival spirit and the plight of the ancestors who fought so fiercely for many to be able to partake in the tradition. With so much to savor and see in T&T, it’s hard to wrap your mind around what a carnival experience truly is. 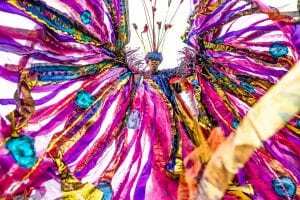 Is it the sweet sounds of steel pan (Trinidad’s national instrument) roaring across the dusty Queen’s Park Savannah on carnival Saturday for the Panorama finals? The answer: yes. Maybe it’s the reenactment of the Canboulay street riots (of which Calypso music has its roots)? The answer: yes. Could it be watching the sun rise over on the picturesque creole cottages of Woodbrook (a suburb of Port of Spain) on Jouvert Morning, signaling the official start of carnival? Again, the answer is a resounding, yes. Jouvert in essence, is the darkness before dawn, where thousands partake in the covering of their bodies in mud, paint, powder and cocoa, to cover their appearances, much like the ancestors did during slavery to protest the slave masters. At 3am, infectious sounds of Soca begin to vibrate throughout the streets and from the various music trucks passing through. As the sun rises, you know that carnival has officially begun. On to the main event that thousands have waited months to enjoy; playing Mas and crossing the savannah stage with their band on Carnival Monday and Tuesday. Much planning goes into the band process for masqueraders. Gathering your crew, picking your section and costume, and organizing meeting points, all are a part of the process. This year, I joined the popular Mas band Paparazzi. 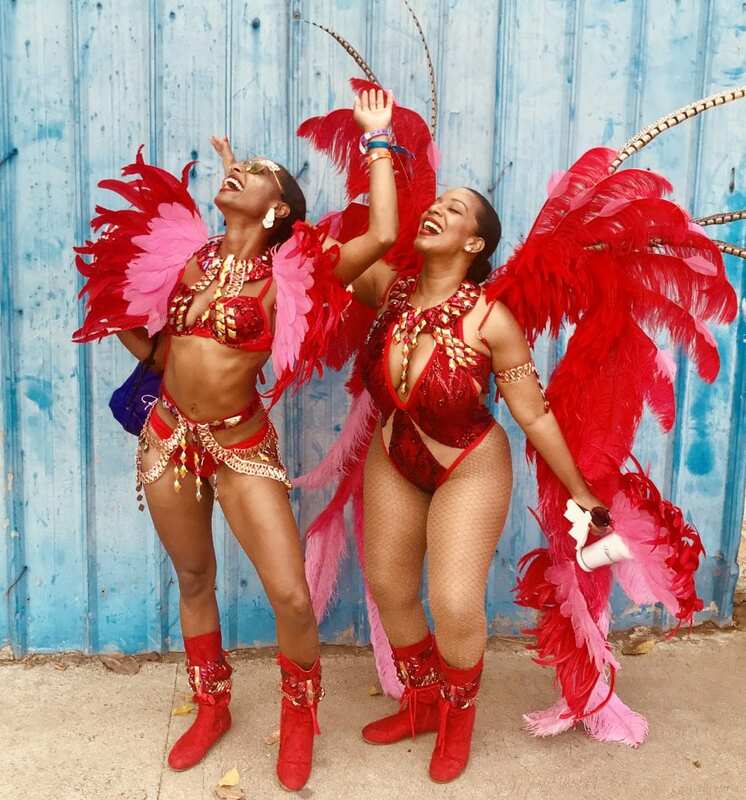 Their all-inclusive experience included full costumes for both days, breakfast and lunch, unlimited drinks, security and of course unmatched energy. Paparazzi’s high octane atmosphere and diverse group from all across the diaspora, made for an unforgettable experience. Crossing the stage is the purest form of euphoria; a total escape to simply free-up and enjoy the energy of the people around. They say carnival is contagious and that once you catch it, it’s hard to let go – and they would be right. 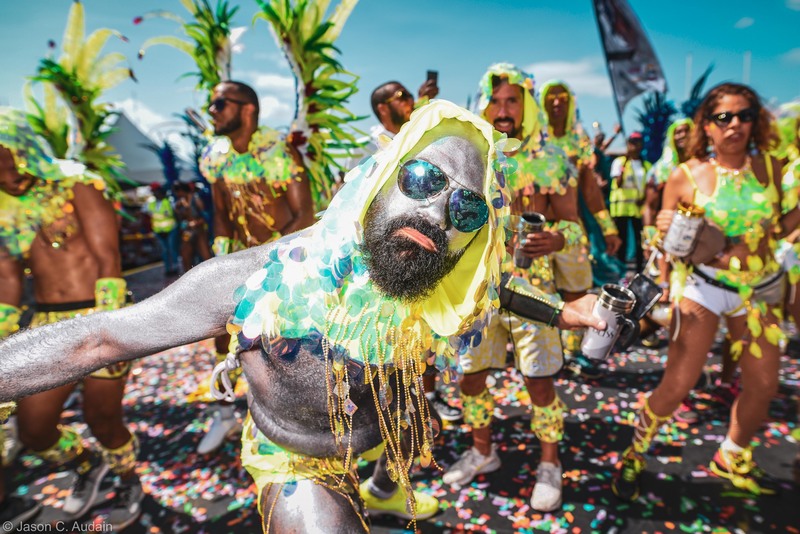 Whether you come for the culture, the vibes or the Mas, you’ll definitely find yourself ready to book another round of carnival in Trinidad.